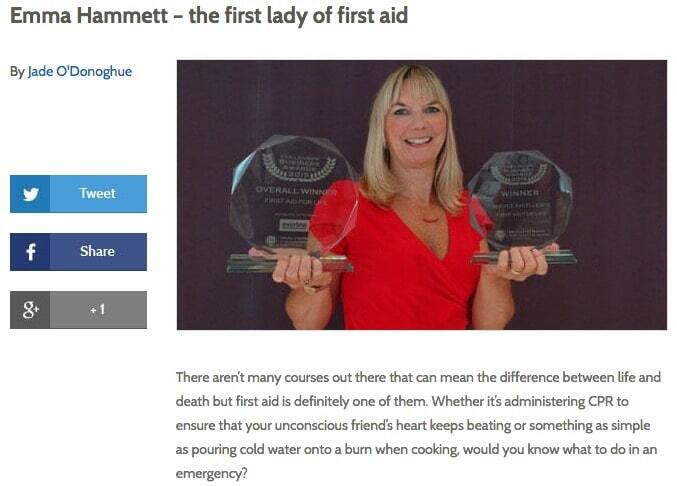 As a qualified nurse, mother and first aid trainer with over 30 years health and teaching experience; Emma Hammett truly appreciates the vital importance of first aid. 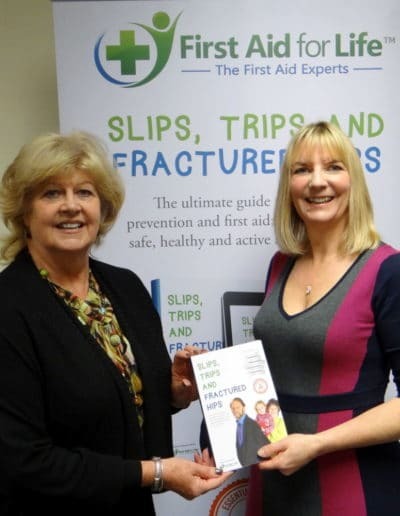 Emma is an acknowledged expert on first aid and accident prevention and frequently appears in the press in print and online publications and as a spokesperson on TV. 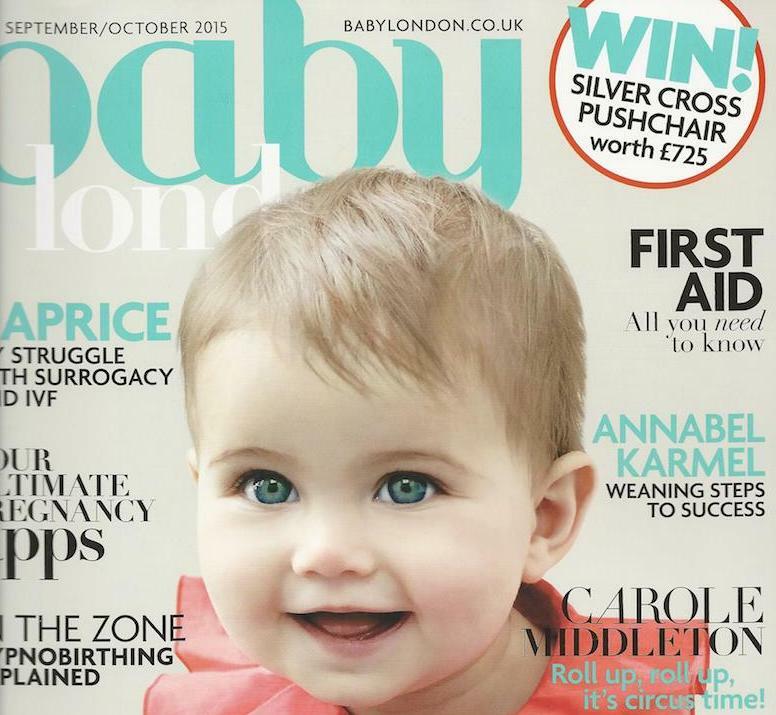 You will see Emma’s regular expert columns in various publications including The Mail, Baby London, The British Journal of School Nursing, Huffington Post, British Dental Journal and the Hippocratic Post. 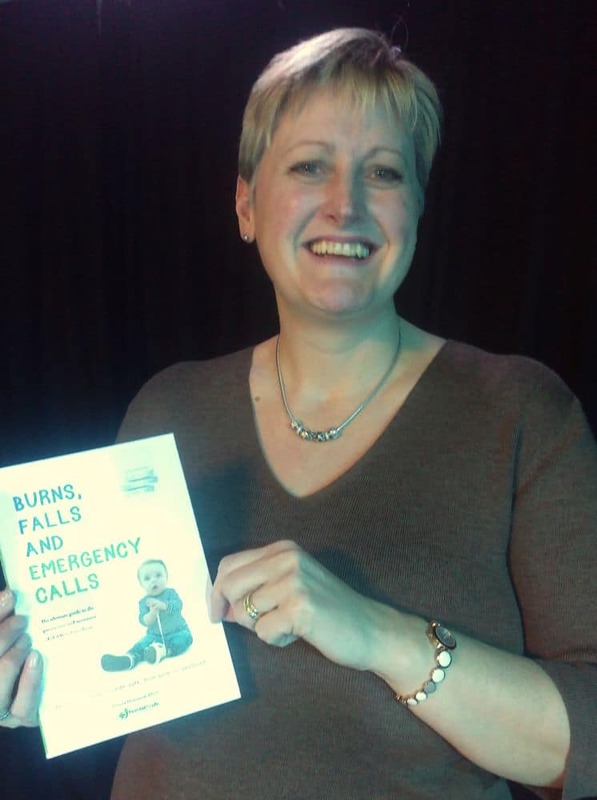 Emma’s books: Burns, Falls and Emergency Calls and Slips, Trips and Fractured Hips – have both won awards and are Amazon Best sellers. 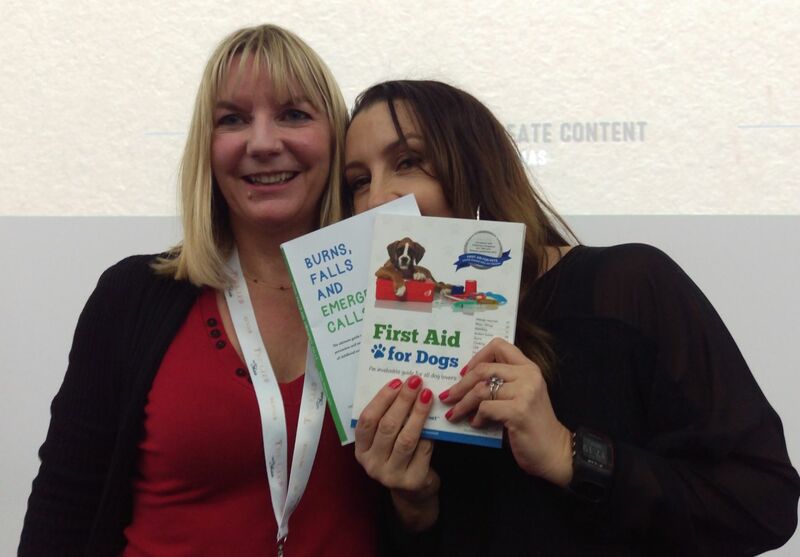 First Aid for Dogs is being translated into Russian and is widely distributed across the UK, USA and Australia. 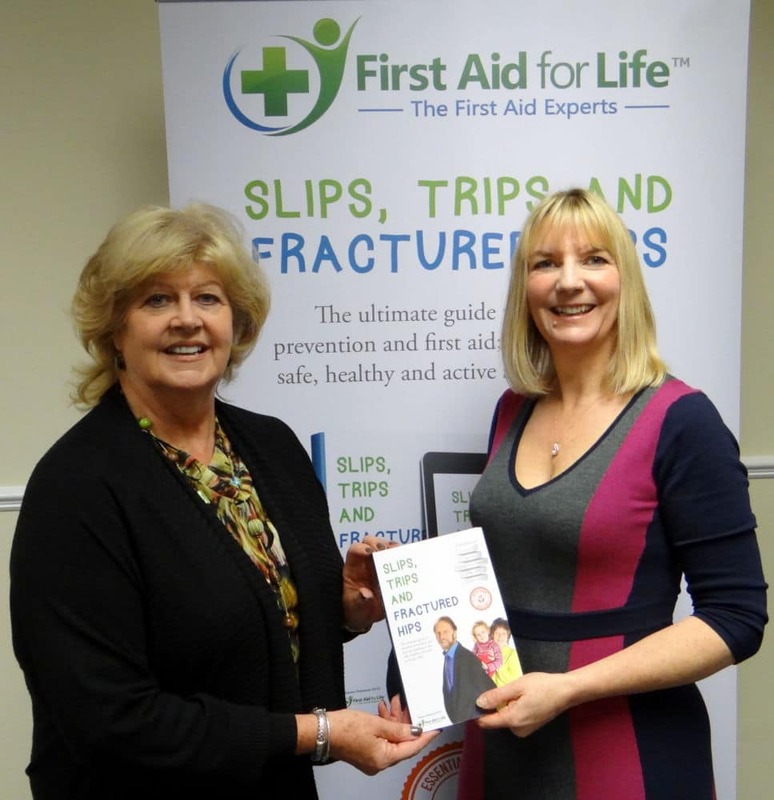 Emma established First Aid for Life in 2007 and it has grown steadily to become a multi award-winning practical and online first aid training business equipping thousands of carers, parents, teenagers, sports/health professionals and members of the public with the skills and confidence to help in a medical emergency. 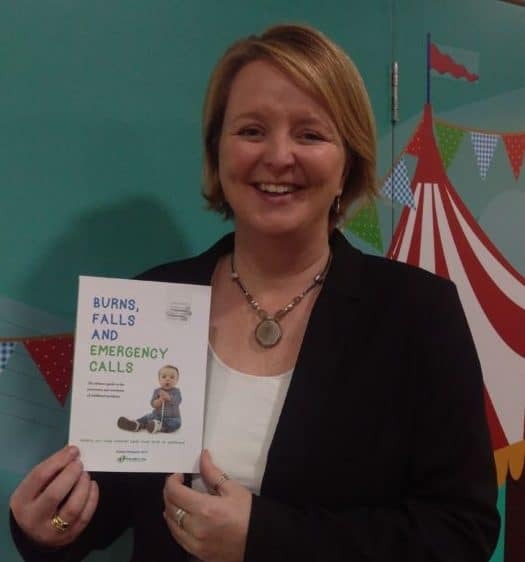 Emma’s pivotal moment came when treating a little boy in the burns unit who was so badly scalded he needed skin grafts. 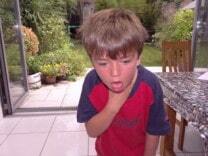 Had his mother known basic first aid, he probably wouldn’t even have needed to be admitted to hospital. 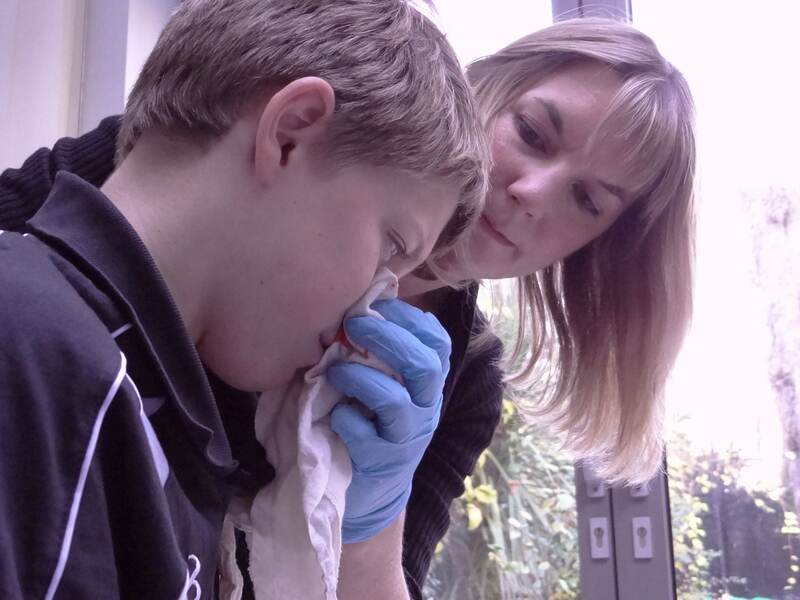 Emma says “first aid treatment is so simple, and knowing what to do could have saved that little boy so much pain and scarring“. 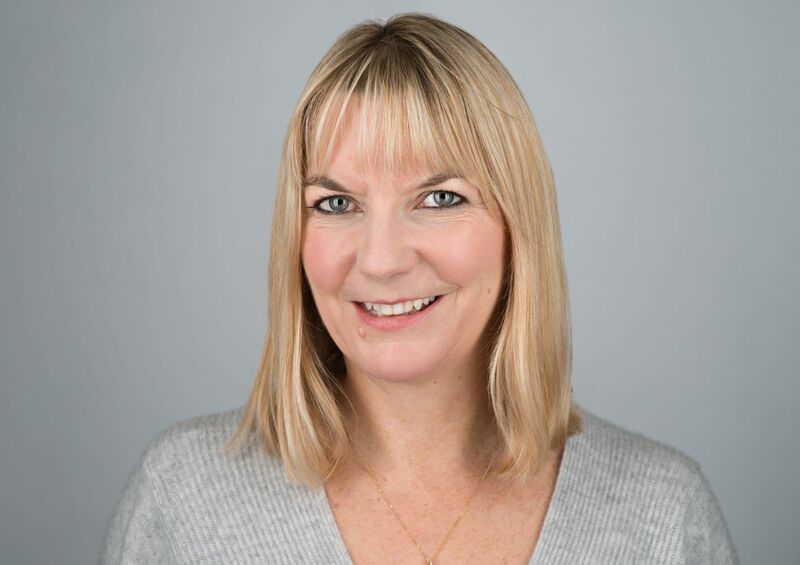 As a mother and member of a huge, close family, Emma continually uses her first aid knowledge: “I am forever grateful that I have the skill to quickly judge how seriously hurt or ill someone is and know the best way to help. 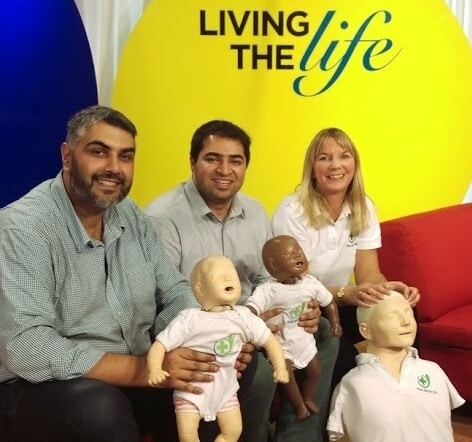 This has enabled me to calmly administer first aid to my family at home and saved countless unnecessary trips to hospital“. 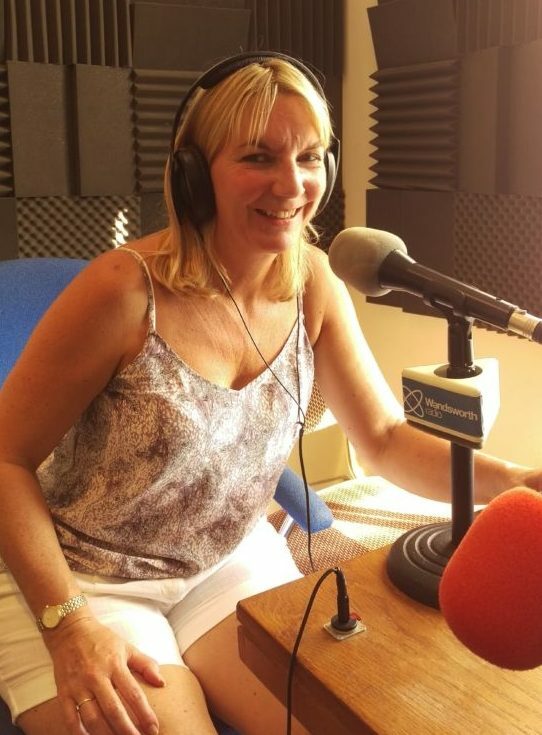 Now Emma wants to share that skill through her books, practical and online courses and speaking engagements so that more people are empowered with these vital skills and prepared to help in a medical emergency. 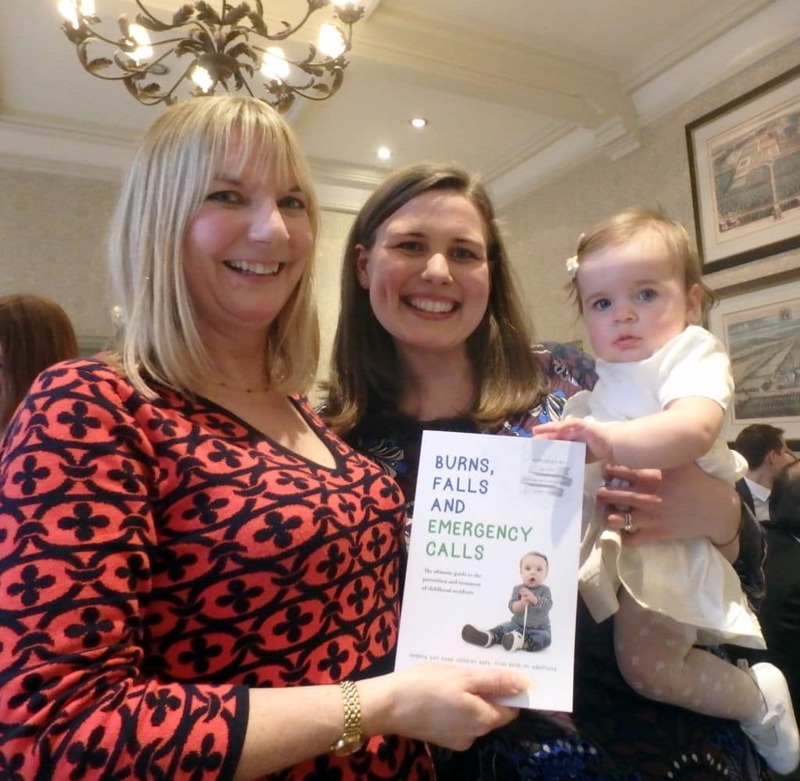 Emma’s second book is heralded as the ultimate guide to the treatment and prevention of childhood accidents, helping you identify potential risks and do your best to keep children safe from birth right through to adulthood. 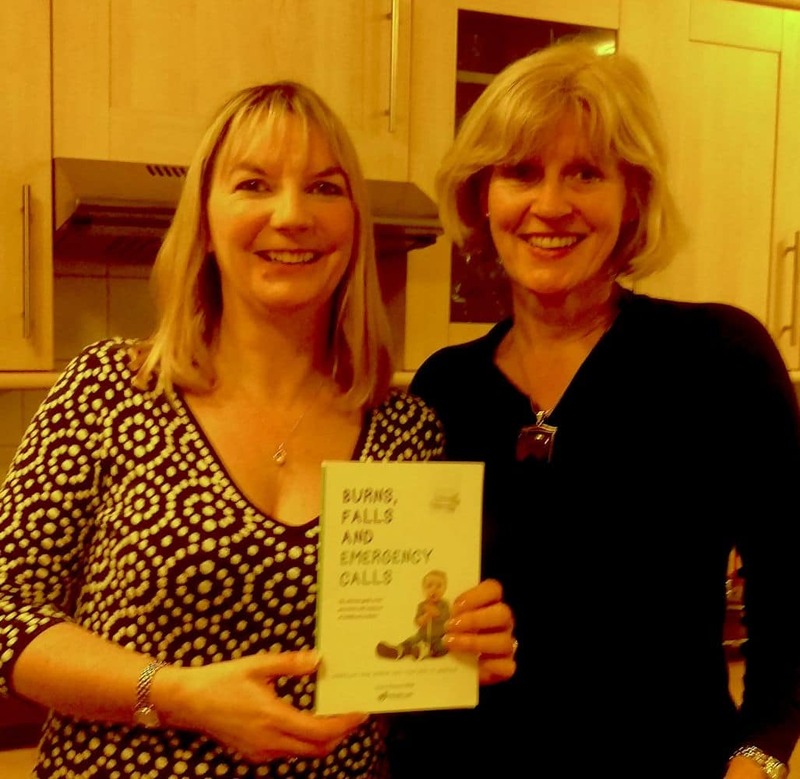 Packed full of real life experiences, anecdotes and sound advice, this book is designed to give you the skills and confidence to let your children develop and flourish, experiencing inevitable minor bumps and bruises, whilst preventing more serious mishaps. 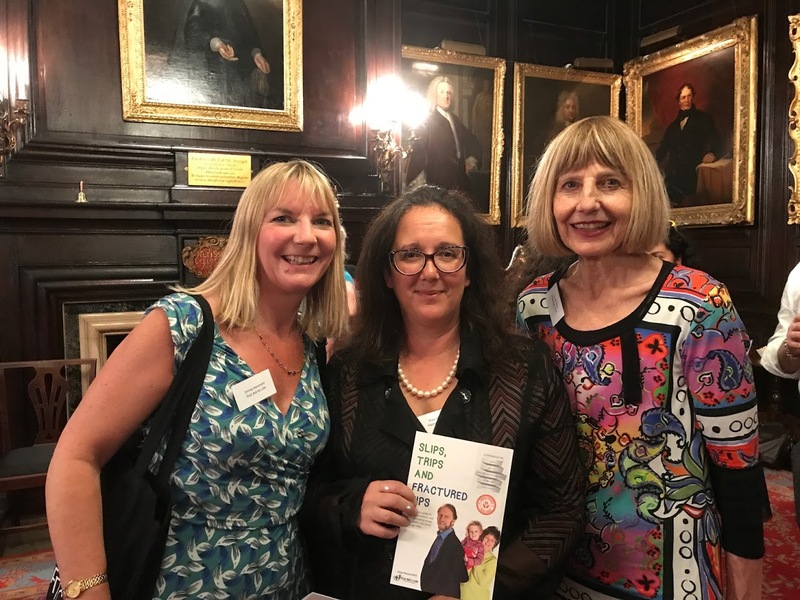 This book is a must-have for parents, teachers, child minders and anyone looking after children. Look inside using the preview link opposite. 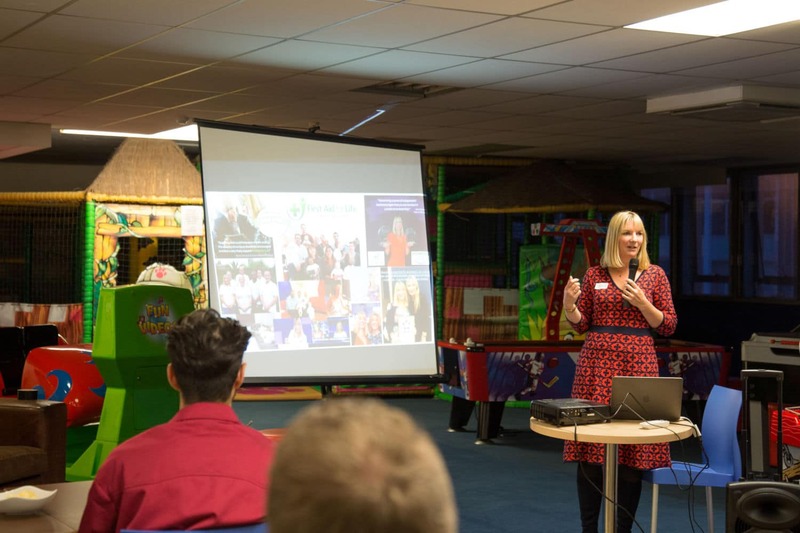 Please contact us for any further information, bulk orders, or requests for Emma to speak at your press or business event. 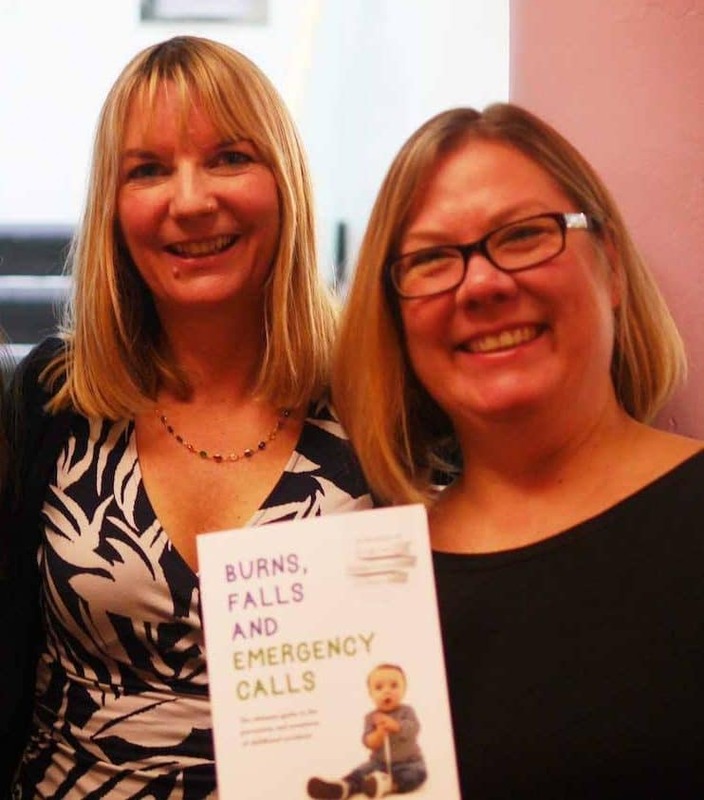 Burns, Falls and Emergency Calls is a pleasure to read and written using Emma’s decades of experience in nursing and first aid. 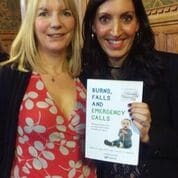 Parents, carers and anyone working with children and young people will appreciate the way that Emma has focused on child development accidents and injuries, as well as outlining the norms of developmental expectations for different age groups. This unique and informative book is a must. Being a parent is scary and we have a natural tendency to over-protect our children. 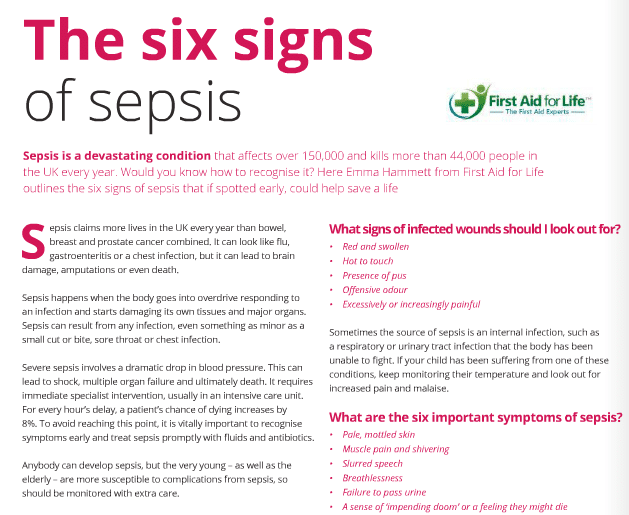 Rather than wrapping the children in cotton wool, arm yourself with Emma’s great book, take sensible precautions and then let your children enjoy their childhood. Being armed with the knowledge and skills to deal with accidents is much more practical than trying to foresee and prevent every mishap. Children are curious and it’s only natural that they will have minor accidents as they explore. 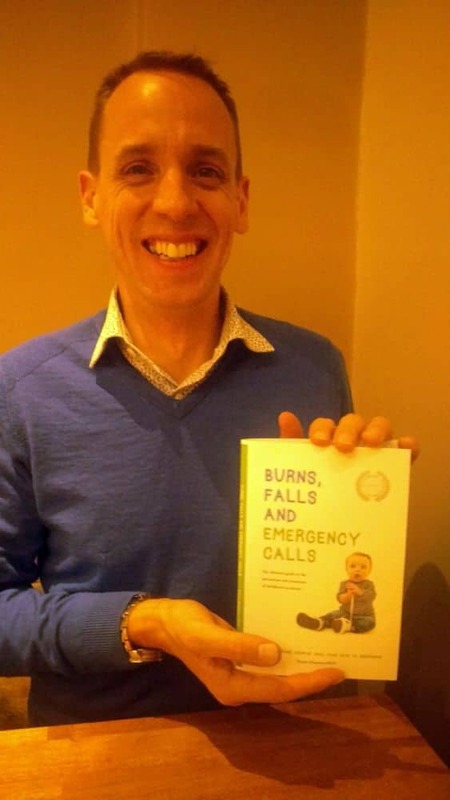 ‘Burns, Falls and Emergency Calls’ is a super informative, but easy to read book, for families, parents, grandparents, childminders and carers, to help everyone become aware of potential risks. 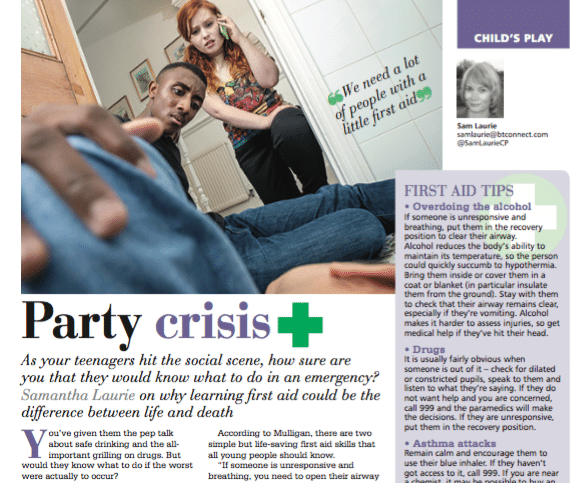 It teaches the skills needed to help in an emergency without overwhelming the reader, and of course, that could ultimately save lives. This great book empowers and gives confidence to everyone who reads it. 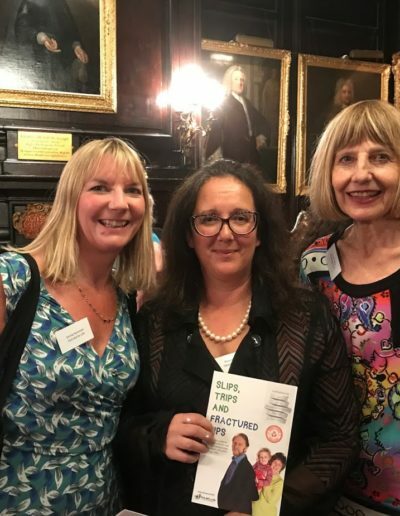 Shaa Wasmund MBE with both of my books! 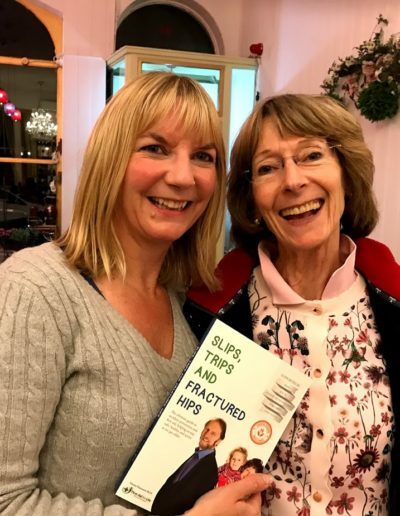 Slips, Trips and Fractured Hips has been written for people caring for older friends and relatives; children caring for elderly parents, for spouses, for older people wanting to keep themselves that bit safer and for anyone working with or caring for older people. It is designed to help you take measures to prevent life-threatening injuries and help you plan, prepare and avoid mishap. It will also equip you with the necessary skills should an accident occur. Please contact us for any further information or bulk orders. 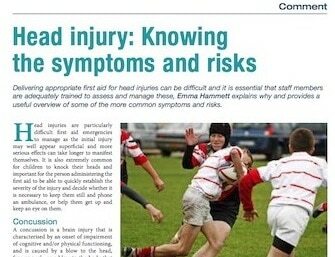 Falls and fragility fractures can result in loss of independence, injury and death. 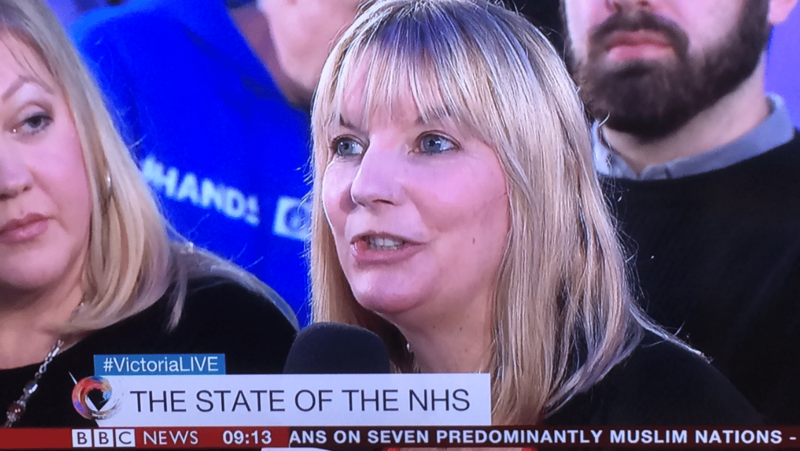 In health service terms, they are high volume and costly. A&E departments treat a disproportionate number of unintentional injuries among older people, and particularly those aged over 70, with accidents in the home (predominantly falls) accounting for the greatest proportion of these injuries. 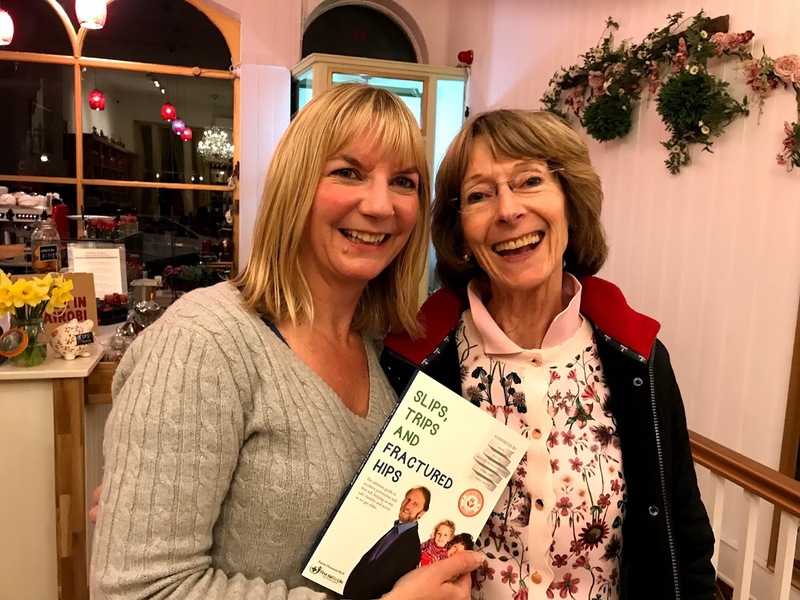 In Slips, Trips and Fractured Hips, Emma discusses safety in relation to older people and uses her many years of experience to give excellent advice about preventing the most common accidents. 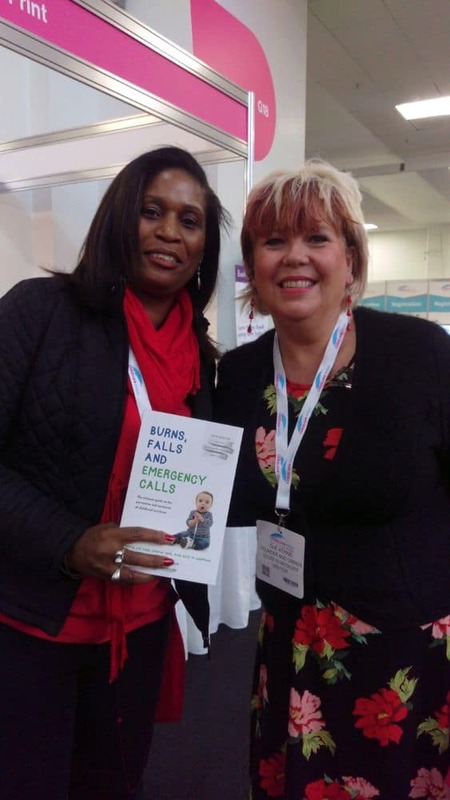 Falls and other unintentional accidents are not an inevitable part of ageing and we hope through the advice given in this book, older people and their loved ones will be able to take steps to prevent them from happening. There comes a point when it dawns on you that you have reached the later years of life – and this can take you by surprise. 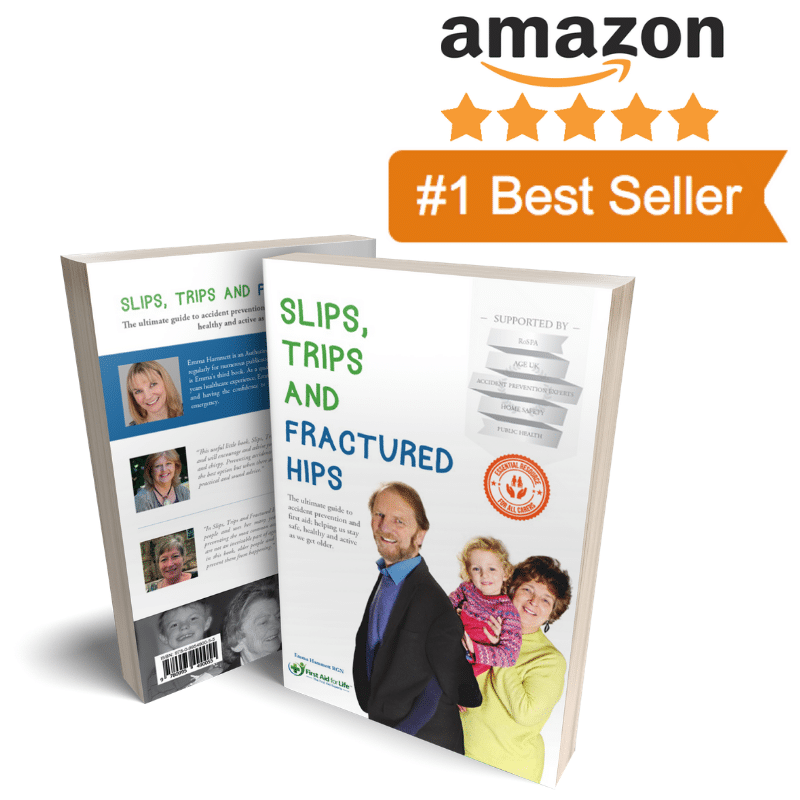 This useful little book, Slips, Trips and Fractured Hips is a bible of good sense and will encourage and advise you in ways to keep safe, healthy, actively upright and chirpy and reminds us that all is not lost with ageing and wonderful times can still lie ahead. 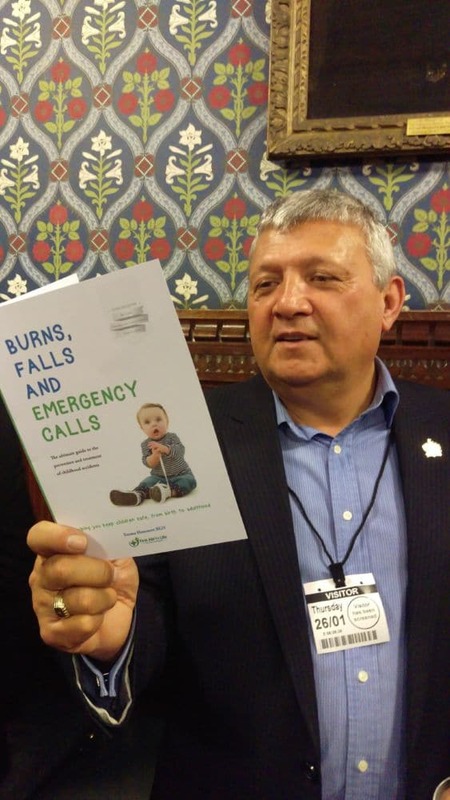 Preventing accidents in the first place is of course the best option, but when an accident happens this excellent little book is packed full of practical and sound advice. It is there to help you enjoy your life to hilt. Please use it. Buy now on Amazon. All course attendees will receive a free paperback copy. 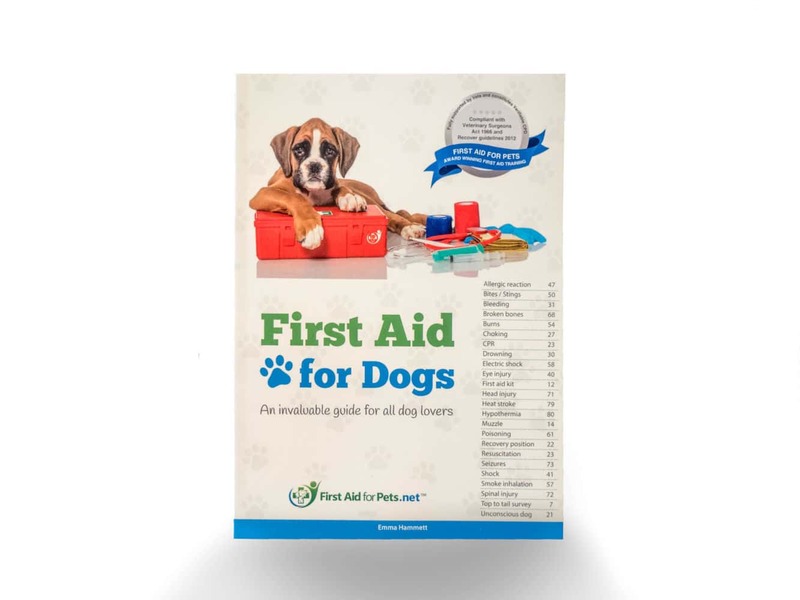 Thank you for your book; First Aid for Dogs. Clearly the work you are doing at First Aid for Pets is hugely worthwhile. 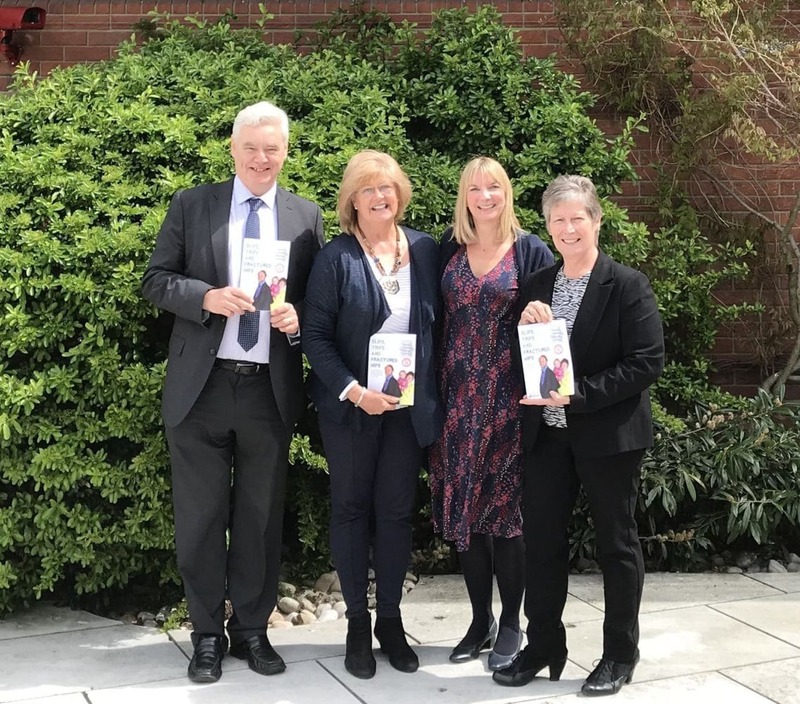 In October 2018 Emma launched the Stay Safe for Older People initiative in partnership with Carolyn Cripps OBE, Age UK and RoSPA. 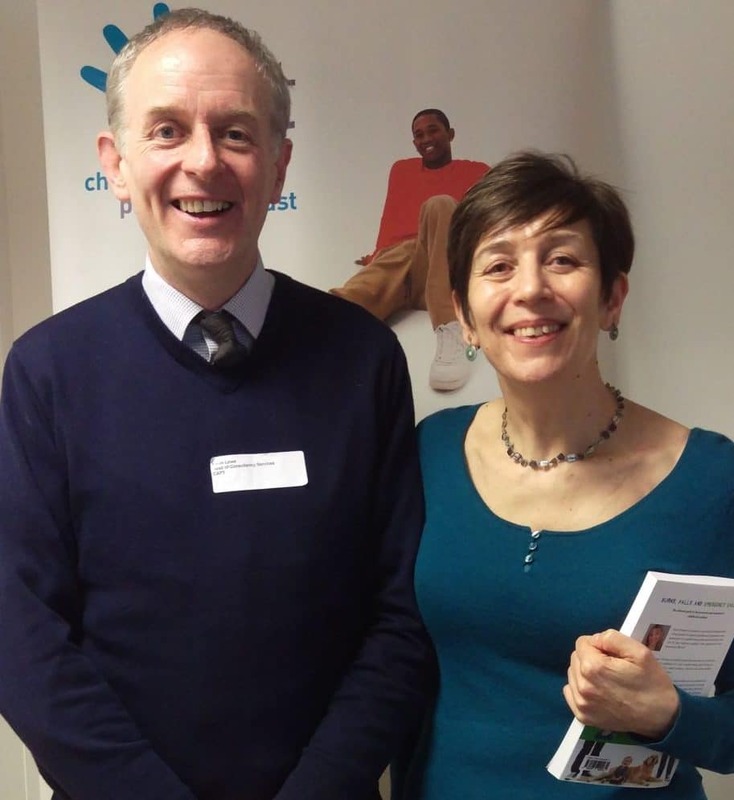 Stay Safe for Older People is an umbrella site, signposting older people and their carers to valuable resources. 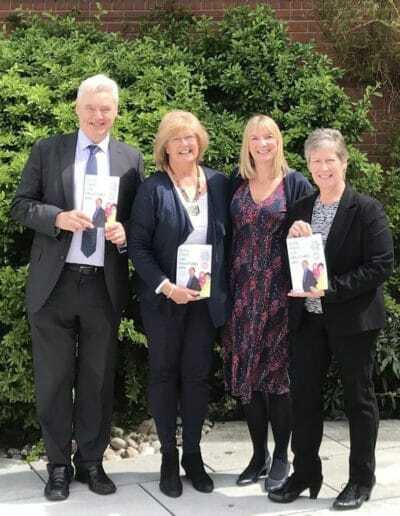 The contents of the continually-updated website aim to help older people stay safe, remain healthy and prevent avoidable hospital admissions resulting from accidents in the home environment. 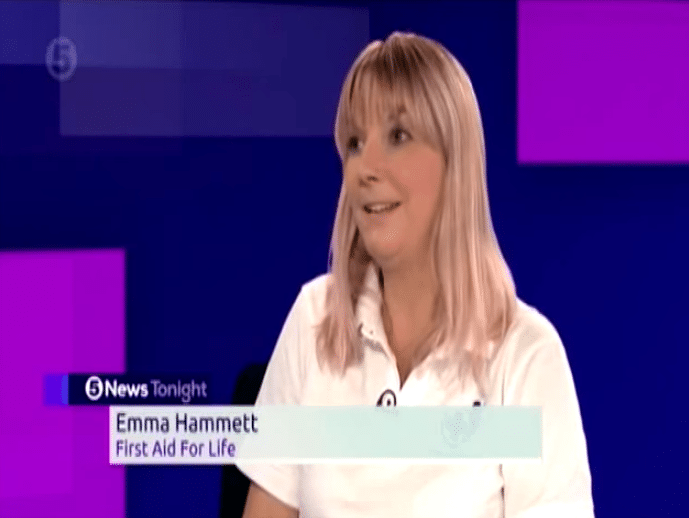 To book Emma for your business or for press enquiries, contact emma@firstaidforlife.org.uk or 020 8675 4036. Mentor for the British Library. 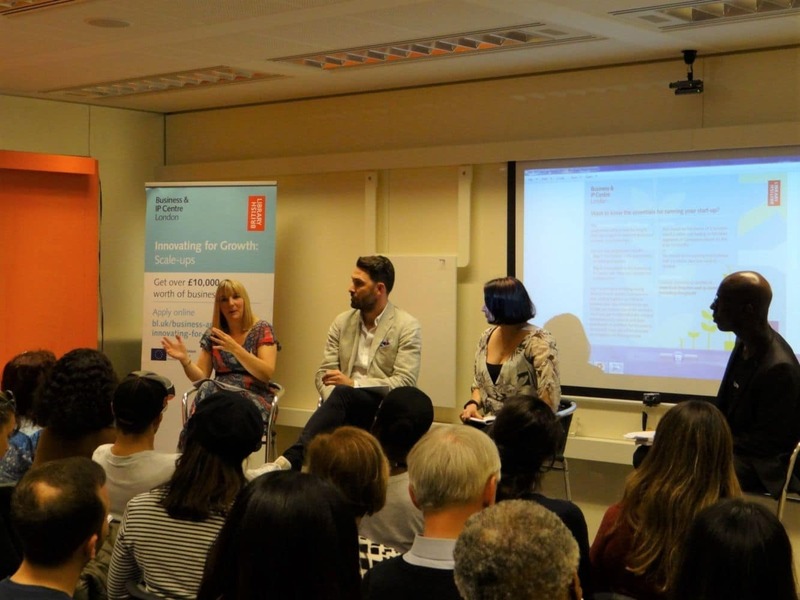 This video is about the mentoring programme at the Business & IP Centre at the British Library. 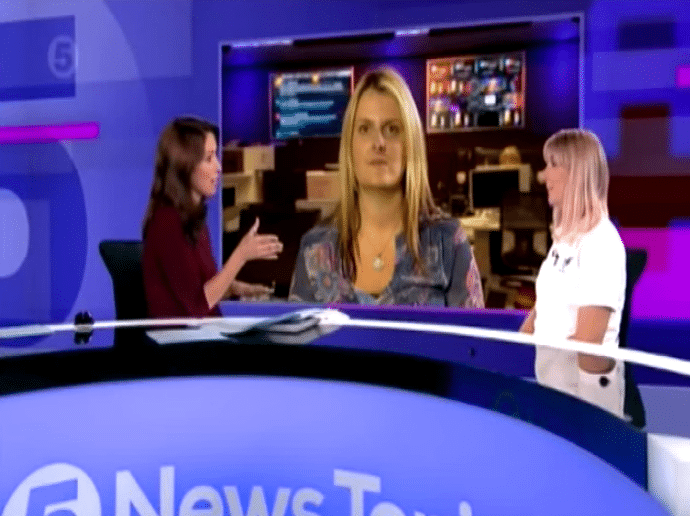 Emma Hammett from First aid for Life talks about her experience of mentoring. 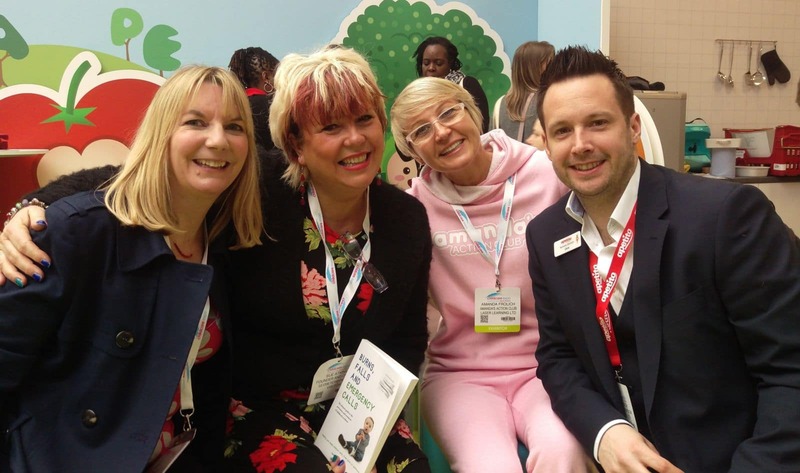 Emma Hammett shares her tips and tricks on how to build an award-winning business, speaking at the Children’s Activity Providers. 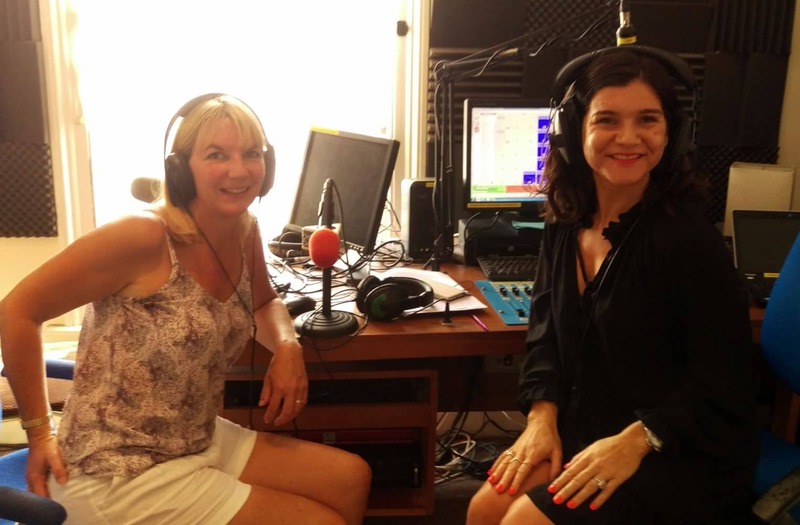 This gives an insight into how Emma successfully runs and promotes her business. 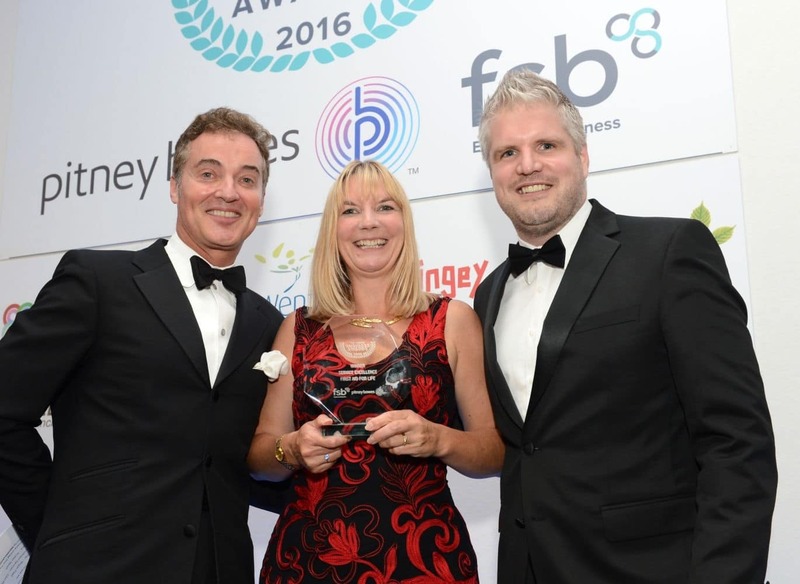 It is a useful step by step advice and guide to help you make your business be the very best. 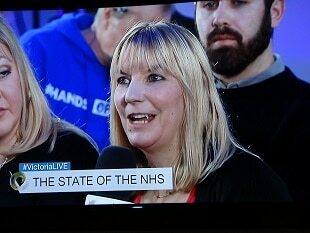 How to stand out in a crowded market, win awards, create outstanding customer service, great reviews and protect your reputation.